Sometimes the timing of a particular book is simply perfect. When Nietzsche Wept and Βίος και Πολιτεία του Αλέξη Ζορμπά were such books in my life. 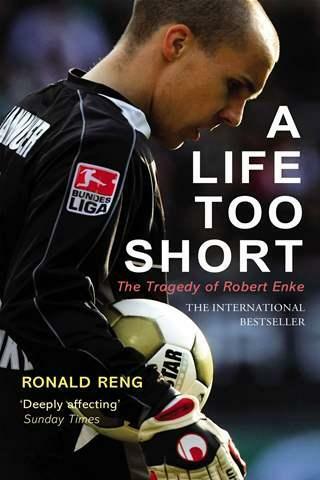 Now i have added A Life Too Short: The Tragedy of Robert Enke to this list. A book that i can’t recommend highly enough to football and non-football fans alike. It’s about so much more than sport. On Tuesday night i went to GSP Stadium to watch the Cyprus National Football Team play it’s final 2014 World Cup Qualifier match against Albania. We drew the game 0-0 and finished bottom of the group with just 5 points. Albania was the team above us with 11 points. It’s one of the lowest points in the Team’s history. The problem is that nobody cares. First of all most of the players don’t seem to be really bothered or proud to be playing for the national team. It just seems to be a nuisance to them. It’s remarkable that i thought Dossa Junior, who was born in Portugal but is now a Cypriot national, was the team’s most committed and best player against Albania. In fact, he was also one of the few players who applauded us the fans at the end of the game. It’s clear that we lack the quality to compete and Cypriot clubs use mostly foreign players but it’s not only that. There is an evident lack of pride for this team and shirt. 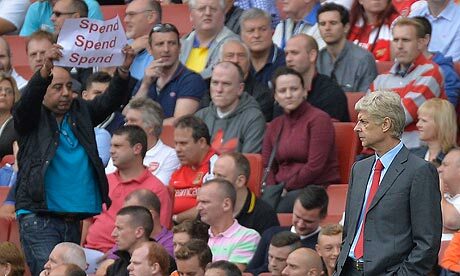 That lack of pride is also evident in the stands. There were a couple of hundred people at most on Tuesday. Not once did we cheer on the team. Even during a good 10 mins spell we had in the 2nd half. Most football fans in Cyprus either don’t care for the team or are just happy supporting the Greek National Team. Greece has given me the proudest and happiest moments in sports which will probably never be surpassed. However i wish people gave some of their love to our team as well. It will never reach the highs that Greece offers but that’s missing the point. We are who we are. A small island of less than a million. Support that. Even the Brazilian and Italian national teams get more support from Cypriots. Finally the media and CFA. There is absolutely little to zero coverage. I had to click on 2-3 links to dig up articles in the sports newspapers on the day of the match. Even the day after it was almost impossible to find something to read. It’s all about the clubs. The CFA again pays more attention to clubs instead of the National team. The interim manager is atrocious. His substitutions on Tuesday reminded me when i was playing Sensible Soccer and Championship Manager when i was a teenager. The ticket price for the game was EUR10. How can you expect people to show up after all the above when they have to pay EUR10. Especially during times like these. Do the 1+1 offer again. Even free tickets. These have been done before. That’s one way to make it more attractive. In the end it seems that we will only start paying attention again if by luck and only luck we get a team of good players again and start playing better. Then all these people and institutions will give their attention to the team for a few years. Planning and vision? Do we even have these words in our vocabulary anymore? Pride for the National team? Please….. There is a misconception amongst the Arsenal fans. That the club doesn’t spend money on transfers. In the season 2012/13 Arsenal spent around STG48.7 million on 4 players (Cazorla, Giroud, Podoslki and Monreal) and in the season 2011/12 around STG50,5 million on 8 players (Arteta, Mertesacker, Santos, Chamberlain, Jenkinson, Gervinho, Park, Cambell).